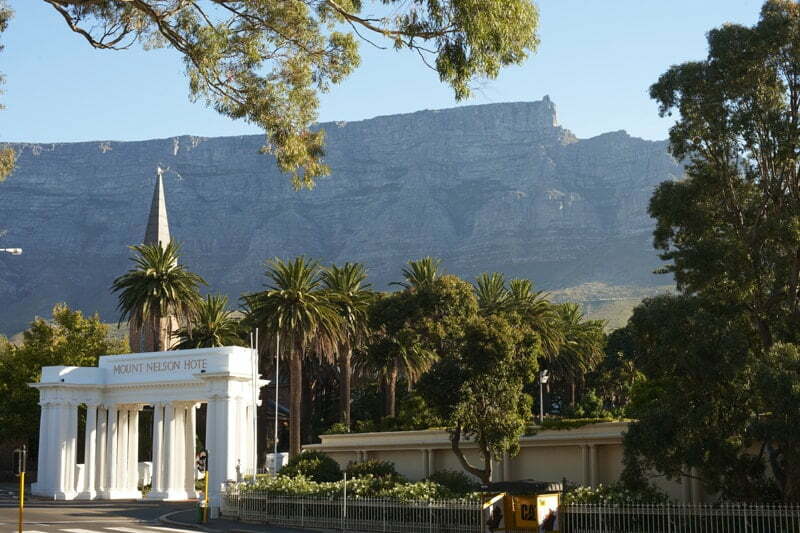 The itinerary is the ultimate in luxury for visiting Cape Town and its surroundings. 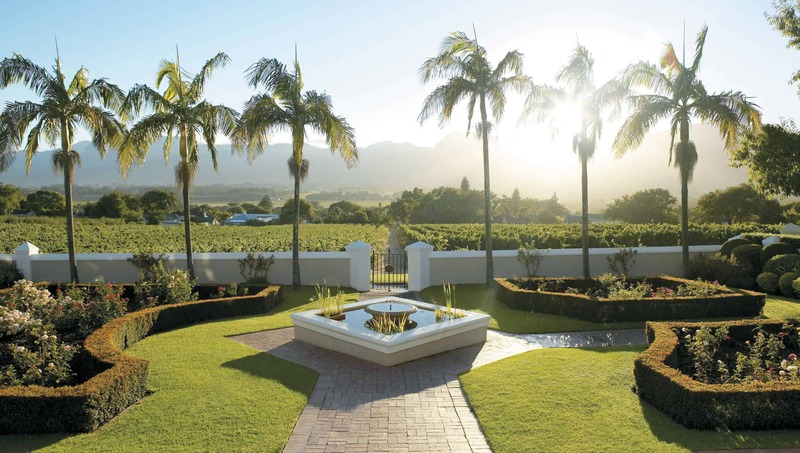 Spending five days at the luxurious and world-renowned Belmond Mount Nelson in Cape Town, you’ll have your own rental car to make use of and be able to enjoy the scenic and stunning sights that the city has to offer including Table Mountain and Robben Island. 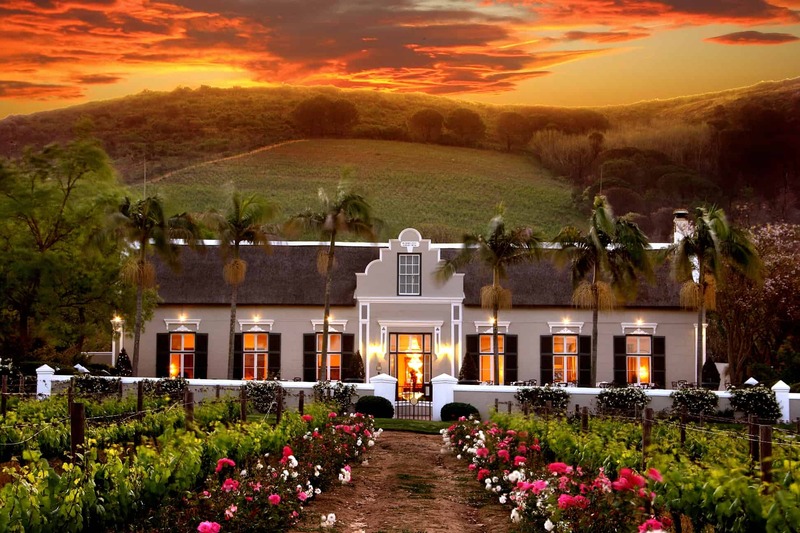 After five days in Cape Town you’ll journey to the wine regions and stay at the foot of a mountain as you sip on sumptuous South African wine. Upon arrival you’ll be able to pick your hire car and head to the luxurious Belmond Mount Nelson hotel where we’ll ensure you have a Superior Room. 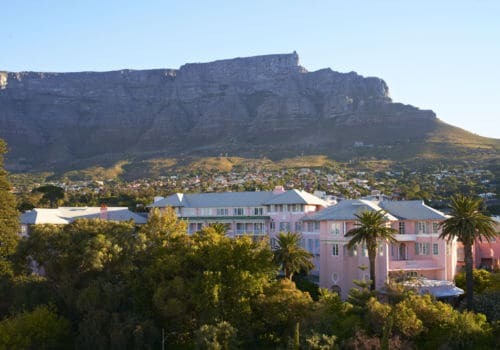 Belmond Mount Nelson Hotel is a timeless and authentic resort hotel located in the heart of Cape Town. Conveniently located within the cultural centre close to top sightseeing attractions and the city’s best beaches, the garden estate is an urban sanctuary. Two heated swimming pools, rolling lawns and Rose gardens lend themselves to romance. Several accommodation wings house 198 individually styled rooms and suites. The contemporary Planet Bar and Restaurant offers guests a true South African gastronomic dinner experience, and the Oasis Bistro offers guests a Mediterranean inspired al fresco breakfast and lunch menu overlooking the family pool and gardens. A daily Afternoon Tea served in the hotel lounge is a signature and not to be missed experience. If you’d like to relax then try the Librisa Spa which offers guests a bouquet of holistic treatments. Today you’ll drive into the winelands, about 40 minutes from Cape Town to Grande Roche Hotel where you’ll stay in a Studio Suite. Your stay includes sparkling wine and an Oyster breakfast.